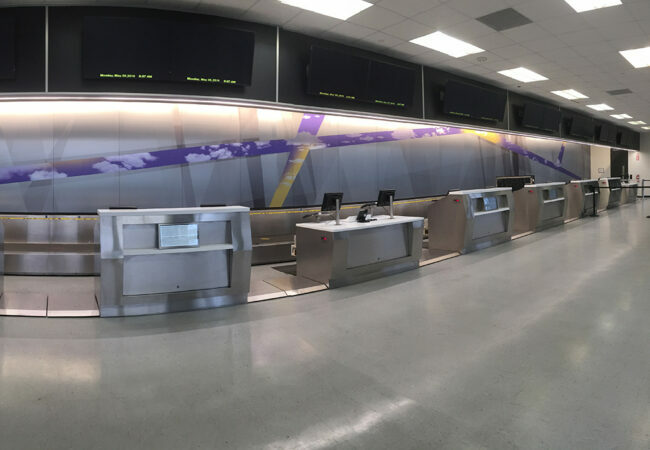 George Bush Intercontinental Airport – Fish Construction, Inc. 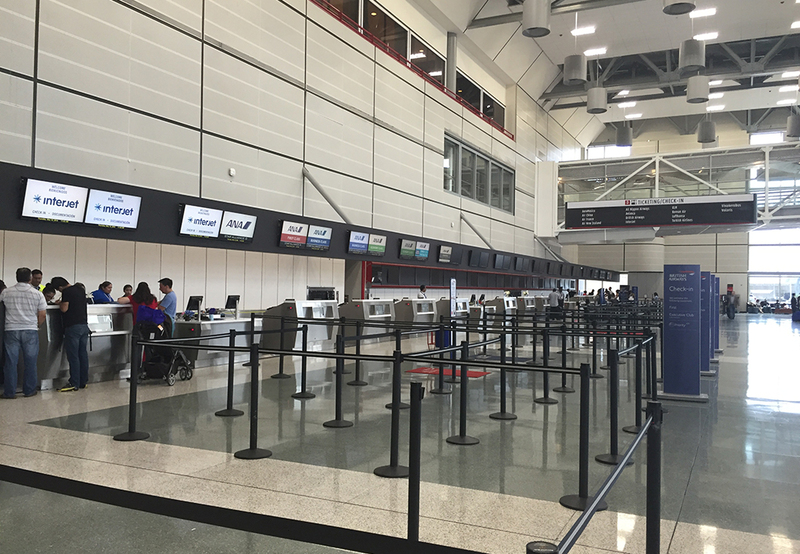 The International Terminal at IAH is undergoing a transformation as part of a phased Capital Improvement Project to remodel and expand the International Terminal and North Concourse. 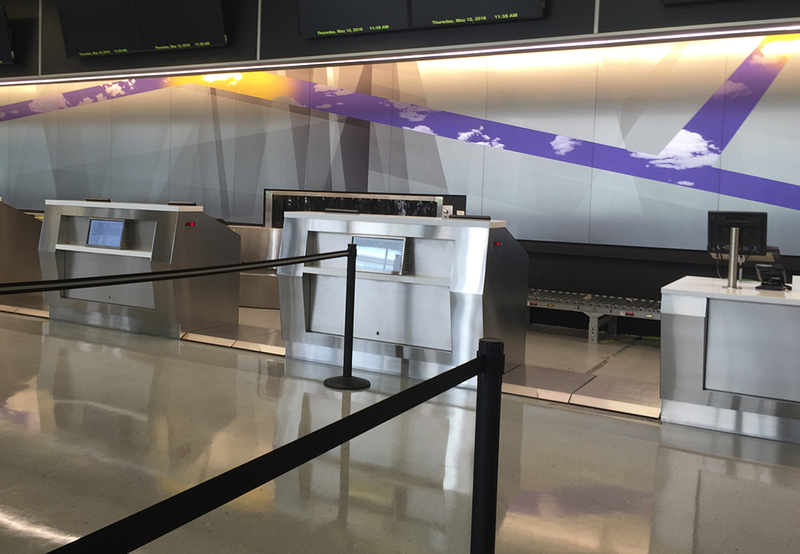 FCI manufactured and installed the new ticketing counter line with 26 double-position check-in counters, overhead monitors, and art-filled backwall. 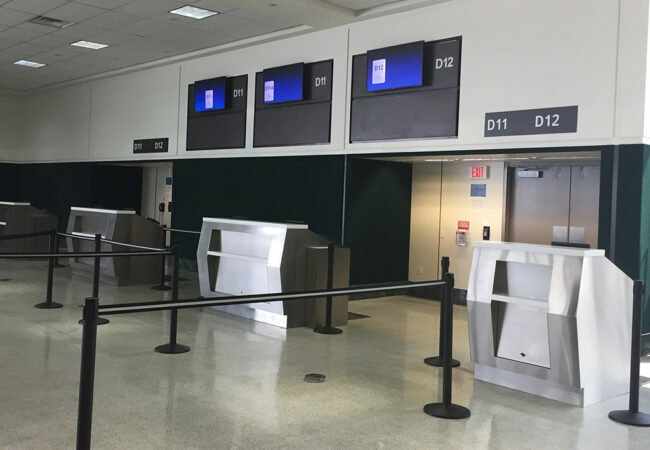 Terminal D has also received new gate counters comprising of 14 double-position and 12 single-position to accommodate larger and wide-body aircraft. 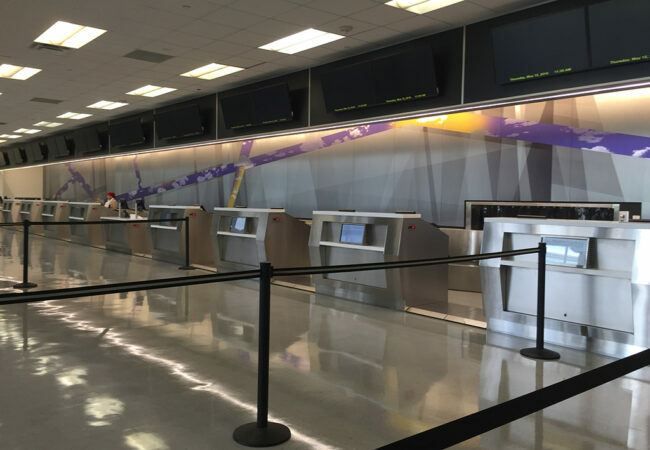 To further enhance this premier international gateway airport, future phases are planned to modernize the facilities and bring upgraded amenities that international passengers will enjoy and appreciate.